40. O Children of Israel! Remember My blessings which I bestowed upon you, and fulfill your pledge to Me, and I will fulfill My pledge to you, and fear Me. 41. And believe in what I revealed, confirming what is with you; and do not be the first to deny it; and do not exchange My revelations for a small price; and be conscious of Me. 42. And do not mix truth with falsehood, and do not conceal the truth while you know. 43. And attend to your prayers, and practice regular charity, and kneel with those who kneel. 44. Do you command people to virtuous conduct, and forget yourselves, even though you read the Scripture? Do you not understand? 45. And seek help through patience and prayer. But it is difficult, except for the devout. 46. Those who know that they will meet their Lord, and that to Him they will return. 47. O Children of Israel! Remember My favor which I bestowed upon you, and I that favored you over all nations. 48. And beware of a Day when no soul will avail another in the least, nor will any intercession be accepted on its behalf, nor will any ransom be taken from it, nor will they be helped. 49. And recall that We delivered you from the people of Pharaoh. They inflicted on you terrible persecution, killing your sons and sparing your women. Therein was a tremendous trial from your Lord. At this point in the revelations, Gabriel is still instructing on exactly what to say to the public and to the Jewish leaders he will need to go up against at some point to show them the error of their ways. This of course is where Jews get mad and see an extreme prejudice against the Jewish people, but if you look closely and listen to the words of the Quran as you speak them, you see that this is only a call to the leaders of the Jewish people who lead their people astray and omit and alter God’s words with their own. Historically even in the Bible, it states there was a division of Moses’s followers and a party of Jews that never believed Moses or simply didn’t want to follow God’s commandments to have One unseen God. 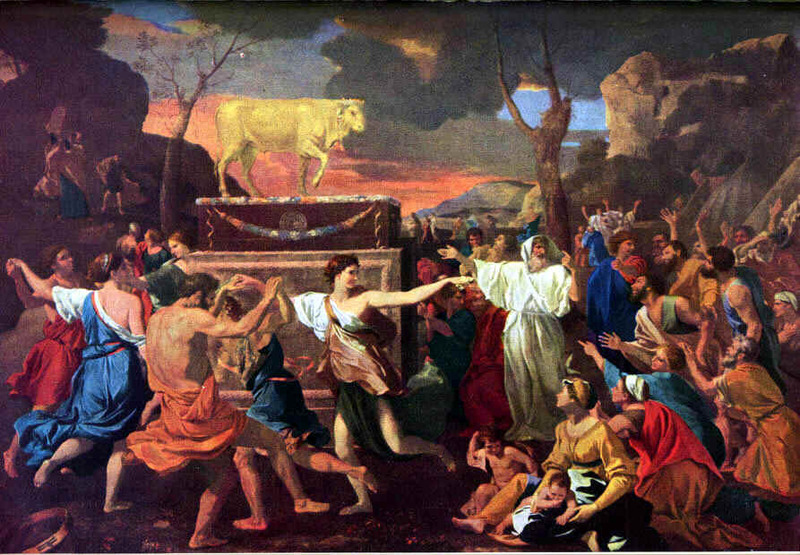 So they decided to pray and worship to their pagan deities, and all we know is it was a golden calf idol or statue, that represented some god of theirs of old. 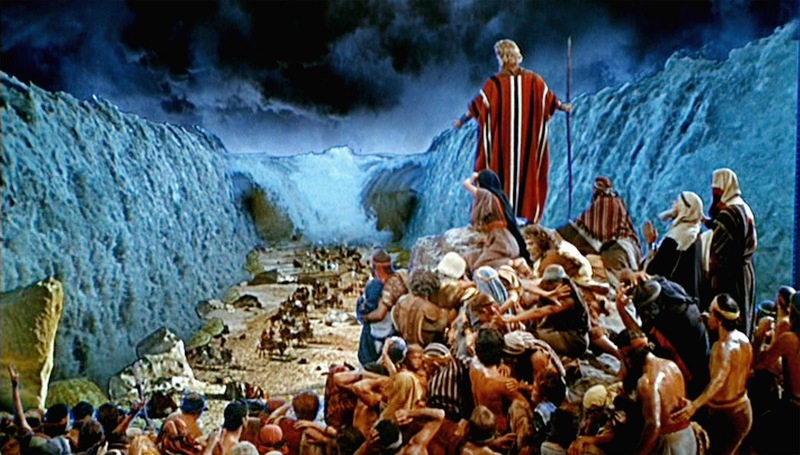 I believe after this event, Moses lost control of some of his followers and the Jewish nation was divided-half followed Moses and his commandments from the Torah and the other half followed the Pagan leaders or “elders” as they called them. The thing I discovered with this, is the poor followed Moses because wealth was not a conquest for them. And usually the wealthy and the well connected followed the pagan worshipers because it allowed them more of the freedom to create the frivolous society they wanted to build. One of the major perks of pagan religions is you can make up ANY god and goddess, and follow ANY man made law you wish to create, and usually the elite class did this. So once again this is NOT a call out to all Jews, it is only to those who are in high seats of power that have altered the words of God that Moses had given them originally. We know that there is the Torah, and there is the Talmud. Historically the Talmud was the one written after the Torah and are the Oral Laws given based off the Torah, but it is from rabbis and men’s minds…not God’s. It will be the equivalent to following only my interpretation as a new book, which I don’t intend to do-I only interpret what was already sent down. 34. And We said to the angels, “Bow down to Adam.” They bowed down, except for Satan. He refused, was arrogant, and was one of the disbelievers. 37. Then Adam received words from his Lord, so He relented towards him. He is the Relenting, the Merciful. 38. We said, “Go down from it, all of you. Yet whenever guidance comes to you from Me, then whoever follows My guidance-they have nothing to fear, nor shall they grieve. 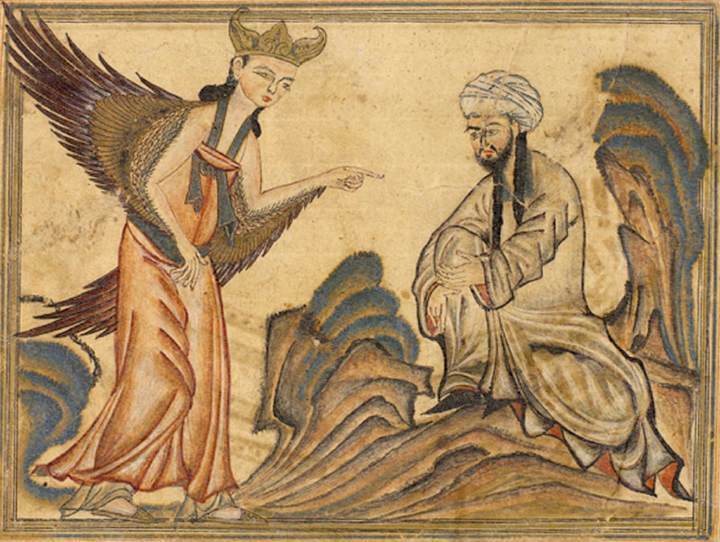 This is Archangel Gabriel giving Muhammad a glimpse into the past showing him how Adam and the whole world began. There is an interesting relationship that Adam has with God, that the angels do not. Angels are marvelous beings, that God created before humans, but humans were the next design. And the creation to use their mind and imagination to create on their own! Angels are likened to robots, always programmed to be good and to reflect God’s Goodness. But God wanted another creation at this time to exist, and this is where Adam came from. Adam is the next prototype of an Angel, but the difference is he is one who can co-create his reality on his own. I have always thought it was interesting that Adam was so close to the word “Atom” and much like Adam made up the names of the world, Atoms make up the matter of our physical universe. Satan another type of creation from smokeless fire element was one being that had Free Will as well as Adam and decided to not bow in respect or in “namaste” to Adam. Instead this being chose a different path of hate, jealousy, and dare I say…fear. Satan refused to bow to Adam and caused Adam and Eve to take from a specific tree God warned them about. Now in the Bible it is the Tree of Knowledge, but in the Quran it was less about the tree’s “gifts” and more about the disobeying and distrust of God. God being a merciful God decided that Adam and Eve still needed to learn and sent them “down” to the earthly physical realm where they had more to learn about trust in God. But God does not leave Adam, or any part of mankind, and Archangel Gabriel tells Muhammad to let the people of the world know it is never too late and this is only a temporary home until we find our way back to the Gardens and that state of being we were originally in. 20. The lightning almost snatches their sight away. Whenever it illuminates for them, they walk in it; but when it grows dark over them, they stand still. Had God willed, He could have taken away their hearing and their sight. God is capable of everything. 21. O people! Worship your Lord who created you and those before you, that you may attain piety. 22. He who made the earth a habitat for you, and the sky a structure, and sends water down from the sky, and brings out fruits thereby, as a sustenance for you. Therefore, do not assign rivals to God while you know. 23. And if you are in doubt about what We have revealed to Our servant, then produce a chapter like these, and call your witnesses apart from God, if you are truthful. 24. But if you do not-and you will not-then beware the Fire whose fuel is people and stones, prepared for the disbelievers. 25. And give good news to those who believe and do righteous deeds; that they will have gardens beneath which rivers flow. Whenever they are provided with fruit therefrom as sustenance, they will say, “This is what we were provided with before,” and they will be given the like of it. And they will have pure spouses therein, and they will abide therein forever. 26. God does not shy away from making an example of a gnat, or something above it. As for those who believe, they know that it is the Truth from their Lord. But as for those who disbelieve, they say, “What did God intend by this example?” He leads astray many thereby, and He guides many thereby; but He misleads thereby only the evildoers. 27. Those who violate God’s covenant after its confirmation, and sever what God has commanded to be joined, and commit evil on earth. These are the losers. 28. How can you deny God, when you were dead and He gave you life, then He will put you to death, then He will bring you to life, then to Him you will be returned? 29. It is He who created for you everything on earth, then turned to the heaven, and made them seven heavens. And He is aware of all things. At this point Gabriel is coaching Muhammad on what to say to people exactly word for word. And there is no doubt in my mind, this is what he said in public. Muhammad is basically being told that God is a power greater than they can ever imagine and has provided everything for them on earth and in the heavens. There is 7 heavens which I take in two ways: 7 layers of sky, and also 7 layers of dimensions of space that we can not see. This is a curious statement and I am not sure even Muhammad knew what Gabriel was referring to, but he said it in order to show people in public that he has been given wisdom no normal man could have at that time. They did not know about the seven layers of the sky because they could not test at that time and have the science to study the sky in this way. It’s incredible this knowledge is even in the Quran, and is one of the many things that proved how this is truth. Also to me, when we go deeper, we see that there are 7 chakras and seven layers of “heavens” could refer to dimensions of space that equate to different levels of consciousness. There is a Kabbalah idea about the Tree of Life, and the different dimensions of space. Also the ancient Hindu wisdom about the 7 chakras. Somehow this all fits together and once again shows the deep truth and wisdom in the Quran. There is an idea in these last lines that God is aware of the deception and evil on earth by men, but that it was part of his original plan to test mankind. 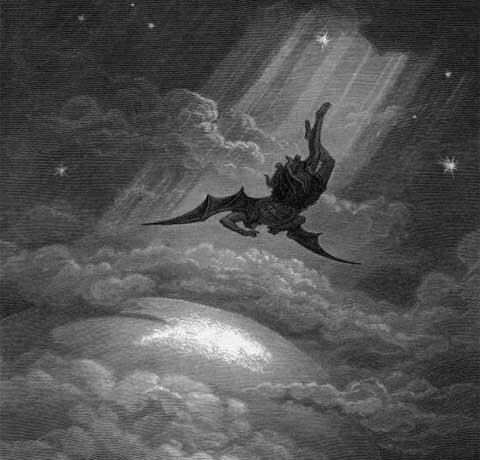 The angels ask God if He planned to put someone on earth, a destroyer of some sort. God answers with the idea that there is a Great Plan developing that nobody knows except God. 12. In fact, they are the troublemakers, but they are not aware. 13. And when it is said to them, “Believe as the people have believed,” they say, “Shall we believe as the fools have believed?” In fact, it is they who are the fools, but they do not know. 15. It is God who ridicules them, and leaves them bewildered in their transgression. 16. Those are they who have bartered error for guidance; but their trade does not profit them, and they are not guided. 17. Their likeness is that of a person who kindled a fire; when it illuminated all around him, God took away their light, and left them in darkness, unable to see. 18. Deaf, dumb, blind. They will not return. 19. 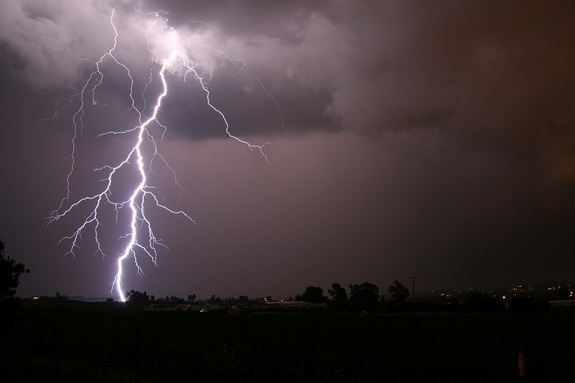 Or like a cloudburst from the sky, in which is darkness, and thunder, and lightning. They press their fingers into their ears from the thunderbolts, in fear of death. But God surrounds the disbelievers. This is now coming out very forcefully from Gabriel to Muhammad showing just how unjust these men of Mecca have become, as well as religious leaders from all other nations that have used religions as a means of control. So this is where Muhammad is given a vision of what these elite men in the social structure say to each other. They act as friends and do favors for each other, but they surely do not believe in God. They have taken religion from it’s pure form from spiritual truth and have divided it into sects of control and wealth. As we know Jesus flipped the tables of the pharisees in the temple, and this is God once again letting Muhammad know the deception has become too much. They lie saying they are creating peace and reformation when they are really creating chaos and destruction due to wars, taxing, and even killing without justice. At this point-God is warning Muhammad these jealous men who are blind to the power and beauty of God themselves, will just mock you when you talk about Islam. Be prepared, Gabriel is saying to Muhammad. There is also a soothing to Muhammad letting him know that as he is mocked, and possibly even killed for the truth, these men will have a punishment for all the evil they caused through manipulation on religion, about 600 years later after Jesus. 2. This is the Book in which there is no doubt, a guide for the righteous. 3. Those who believe in the unseen, and perform the prayers, and give from what We have provided for them. 4. And those who believe in what was revealed to you, and in what was revealed before you, and are certain of the Hereafter. 5. These are upon guidance from their Lord. These are the successful. 6. As for those who disbelieve-it is the same for them, whether you have warned them, or have not warned them-they do not believe. 7. God has set a seal on their hearts and on their hearing, and over their vision is a veil. They will have a severe torment. 8. Among the people are those who say, “We believe in God and in the Last Day,” but they are not believers. 9. They seek to deceive God and those who believe, but they deceive none but themselves, though they are not aware. 10. In their hearts is sickness, and God has increased their sickness. They will have a painful punishment because of their denial. This is the first message from Archangel Gabriel to Muhammad. “Alif Lam Meem” is the opening of the communication, nobody knows this meaning, but it is at the beginning of each Sura. It is said that an Angel came to visit Muhammad giving him these messages and gave him a book that he had Muhammad read even when he was illiterate and could not. With God all things are possible. This was the opening of Muhammad’s intuition- the inner sight. I imagine Muhammad sitting in a cave, contemplating what has gone wrong with his fellow people of Mecca! Why so many gods and rituals that cause so much bloodshed and confusion in wars. Why so much suffering and torment on this earth at this time? I can envision Muhammad opening up to the messages and taken aback in pure shock at the sheer justice and mercy found in these words as he received them. Muhammad must have felt like kneeling down and crying in relief as I do when I just read these words, I can’t imagine how it was to be in the presence of such divine love and justice. When I first read the Quran, I had tears in my eyes as it answered so many of my questions and fears. Here Muhammad is being told that there has been a great deception on earth in religion, and it is time to try to end it through another human messenger. 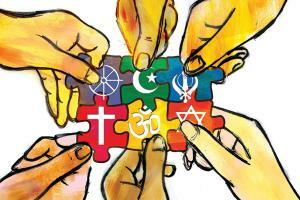 Islam is here to restore the broken system of religion. The people who take these words to heart have chosen by their own Free Will, or their hearts have been open to God always. The ones who can not see the truth in the Quran are already blinded by lower emotions like hate, greed, envy, and have not yet been able to see the truth revealed to them. Allah/God has made them even blinder in their decision to mock and avoid these words that are about to be given. So this is Arch Angel Gabriel telling Muhammad this will be a very tough journey for him, but he has a duty to help humanity, and in the End of the world, all justice will be had for the evil people who mocked and laughed at the ideas found in this text. The way I see it, is that if you purposely avoid the messages of God, your heart has not been in the right place of seeking Him out in the first place, and God knows only the pure of heart will believe in these words given, at this time in history when pagan Arab tribes ruled over Arabia.